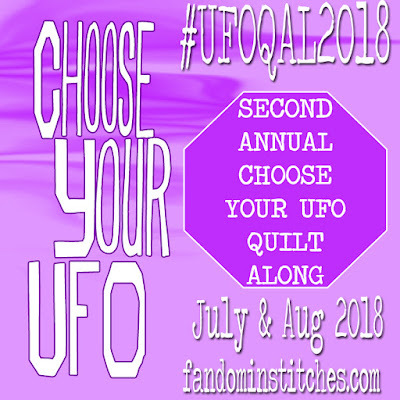 We're back to encourage you to keep working on those UFO projects and get them done! Today we're talking about Design Walls! A Design Wall is a vertical space to hang your quilt project so you can step away from it for a better idea of how the colors are working, whether you need to rearrange your blocks, make a change, etc. Today, we share some fun and easy ways to create a Design Wall that will work for your budget & your own space! Just a note to say there are several links below that leave Fandom in Stitches. None of them are official endorsements or affiliate links, we're just trying to be helpful. Do you have space, but don't have the budget for a fancy Design Wall? You can use yardage of flannel, batting or, as I do here, a couple of flannel backed table cloths I picked up on clearance sale at Target! I stapled mine directly to the wall. Your fabric will stick to the flannel or batting, with little or no need to pin at all. 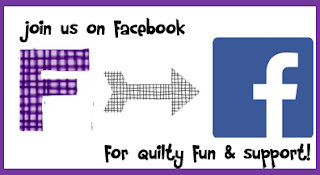 If you like to leave the paper on the back of your paper pieced squares, you can pin right through the tablecloth! I replace mine every five years or so. 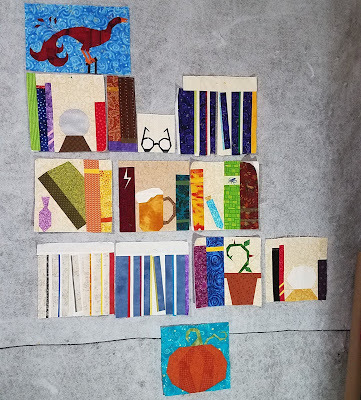 See my personal design wall (shown above with Project of Doom blocks donated by members of the PoD Facebook group for use in charity quilts) as my backdrop almost every week on Talk to Me Tuesday! Want something ready made but relatively inexpensive? 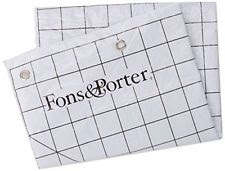 How about the Fons & Porter 60-Inch-by-72-Inch Design Wall? I've used one of these on a retreat and it works great. It's made like a flannel backed shower curtain. It has grommets that can be used to hang it on the wall (Command Hooks work great! ), on a curtain rod, or on your shower! Need a design wall but are a bit short on the "wall" part? The Sassy Quilter has a simple tutorial for making your own movable design wall using a sheet of foam insulation. Free Spirit also has a 44" design wall flannel sold by the yard with inch marks included! Have a different Design Wall idea? Better yet, we'd love to see it!